The holidays can pose great challenges for parents who must juggle seasonal excitement and overtired kids. 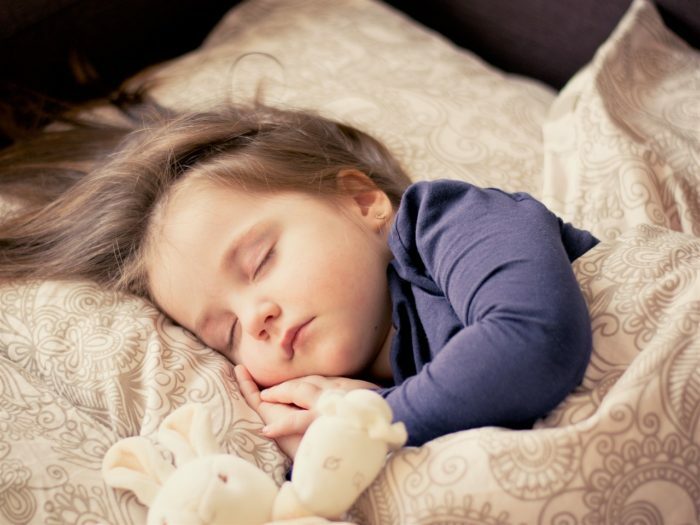 Saint Joseph’s University sleep expert and Professor of Psychology Jodi A. Mindell, Ph.D., offers the following suggestions for parents to help kids navigate high spirits and the need for rest. • Make sure that the bedtime hour — and naptimes — are consistent. Maintain your child’s usual sleep schedule. • While exceptions can be made to the bedtime hour for family gatherings, limit the exception to one or two nights in a row. If there are too many days of being off schedule, Mindell says to expect meltdowns. • Stick with customary bedtime rituals. If every night is usually a bath and a story in bed, then do a bath and a story in bed, even on holiday nights. Mindell notes that mornings can be the next challenge. “Even if everything works and children do get to bed on time, mornings can be a problem because children may wake up quite early, eager to open gifts or celebrate other holiday activities,” she says. To keep mornings running on an even keel, Mindell’s advice echoes her bedtime tips. • Change as little as possible by sticking with your usual morning routine. • If your child is not able to tell time yet, use a ‘good morning’ light in the bedroom. This nightlight on a timer that is set to go off at a reasonable time, such as 6:30 or 7 a.m., will let your child know when it’s time to get up for holiday activities. And what if a child receives his or her first smart phone or tablet during the holidays? Because the light emitted from electronics can suppress the natural production of the sleep hormone melatonin, which can cause problems when falling asleep, Mindell suggests that parents set limits right from the start. • Be careful not to integrate the new electronics into the bedtime routine. Continue to read books the old-fashioned way, rather than switching to reading on a tablet, so that melatonin production is not interrupted. • At night, the entire family (including parents) should plug in their smart phones, etc., for charging, either in the kitchen or another public space that is outside of family member’s bedrooms. Mindell adds that sleep disruptions can occur despite parents’ best efforts. “If your child’s schedule has completely shifted over the holidays, slowly change back starting the two to three days before life returns to usual schedules, by adjusting bedtime and wake time by 15 to 30 minutes every day,” Mindell says. Mindell is a clinical psychologist specializing in pediatric sleep medicine. She has written extensively on pediatric sleep disorders and presented over 300 papers at national and international conferences. The director of SJU’s Graduate Psychology Program, she is also the board chair of the Pediatric Sleep Council, the associate director of the Sleep Center of Children’s Hospital of Philadelphia, the author of “Sleeping Through the Night: How Infants, Toddlers, and Their Parents Can Get a Good Night’s Sleep” (HarperCollins, 2005), and co-author of “A Clinical Guide to Pediatric Sleep: Diagnosis and Management of Sleep Problems” (Lippincott Williams & Wilkins, 2015).